A recurring problem with our Fisher aluminium windows is that the black plastic window stays come off completely. They cannot be glued back so need to be replaced with new ones as illustrated above. 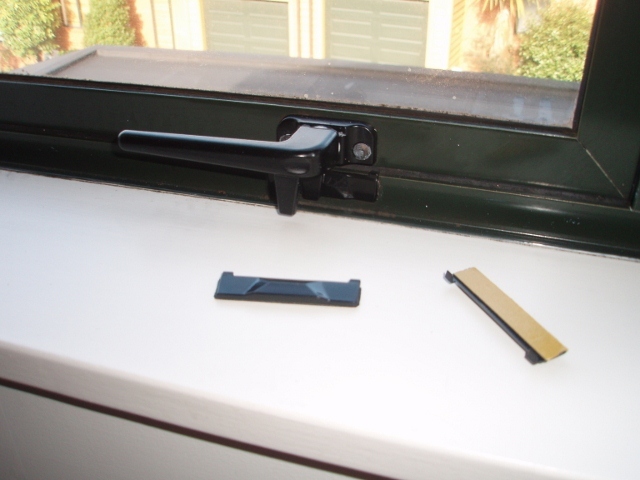 After cleaning the window frame surface properly the replacement stay can easily be stuck in place using the double-sided adhesive strip. Replacement wedges are available from Fisher Windows at a cost of $1.50 each plus postage (as at June 2015).